Last year in May of 2016 we did a post about ‘how to know your installing the right size air conditioner’. This time were going to tell you why it’s important to have a properly sized air conditioner. The whole reason behind having the right size A/C is making it efficient so that it delivers the most amount of comfort while costing the least utilities. When those things are balanced a properly sized air conditioner will continuously run. An improperly sized unit will short cycle, have problems with moisture removal and high fan speeds. An oversized air conditioner will do something called short cycling, it will turn on, then cool your home fast and then turn off and soon later turn back on, causing your home to use more energy. The reason a properly sized unit will save the most money on utilities possible by continuously running is that there will be less frequent cycling of the unit. Basically, the unit will cost you more money if it has to turn on and off a lot since they are least efficient at startup. An undersized unit will run more but will struggle to cool your home, costing you comfort and high utility bills. That’s why it’s necessary in most cases to have a heat load performed before installing a new air conditioner. During startup, air conditioners are also bad for moisture removal. This problem gets worse when you have an oversized unit that is short-cycling because they won’t run past startup. Any moisture that builds on the evaporator coil won’t flow off the coil and drain onto the drain pan. Instead, it will just evaporate into the air due to the short run times. When it’s humid this will cause your home to feel cold, clammy, and uncomfortable. 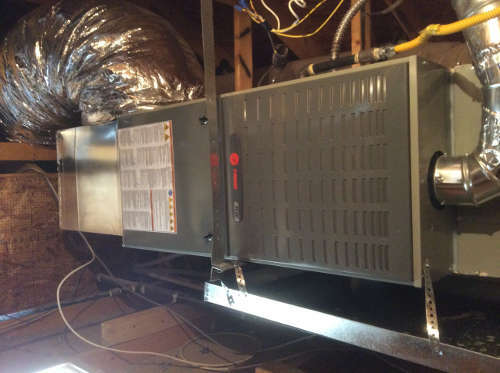 An oversized unit will have higher than necessary fan speeds increasing the speed of the air flowing through the supply and return registers which will affect the air conditioners noise and performance. First, If the speed of the air is too high, it will be noticeably noisy and uncomfortable. Oversized units are noticeably louder because of the higher fan speeds creating more air flow. This loud noise can be annoying and might cost you some precious hours of sleep. Second, the return registers have the filter that protects your coil. The higher airflow will cause it to lose its effectiveness which can cause your coil to get dirty and lose efficiency. The bad part is that coil is hard to get to and can cost a couple hundred dollars to clean. Be careful before getting a new unit because your ducts might be leaking. 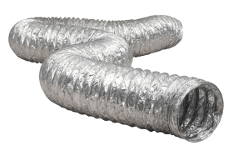 If your duct work is leaking then the efficiency of your system will be affected by hot attic air which reduces the cooling effectiveness of your air conditioner. Before getting a new unit the ducts need to be looked at because this can change what kind of unit is needed. If there are leaks, then the answer is simple, just get the leaks fixed before installing the unit. Carefully choose the contractor because most of them oversize. It’s less time consuming for someone to take the time to actually make sure you’re getting the right size AC. This is a lazy and bad practice that does not consider the customers future. We are an honest and customer focused company that makes sure to put on the right size air conditioner.